Learning how to plan for retirement doesn't have to feel like mastering another language. The various retirement plans available are easier to understand than you might think, although each is subject to its own limitations. Some of these limitations depend on your modified adjusted gross income, while others involve a cap on the amount of money you can contribute yearly. Tax treatment of withdrawals—and the age at which you can take and must take withdrawals without penalty—can vary between types of plans as well. A comparison can help you identify which is best for you. A 401(k) plan is a workplace retirement account that's offered as an employee benefit. The account allows you to contribute a portion of your pre-tax paycheck to tax-deferred investments. This reduces the amount of income you must pay taxes on in that year. For example, you'd be taxed on $70,000 if you earned $75,000 and contributed $5,000 to your 401(k). Investment gains grow tax deferred until you withdraw the money in retirement. If you withdraw funds from the plan before age 59 1/2, however, you could pay a 10 percent penalty and the withdrawal would be subject to federal and state income taxes. Some plans offer 401(k) loans, however, if you find yourself in a cash emergency. Many employers match employee contributions to a 401(k), typically up to 6 percent, although it might "vest" its contributions over a period of years. This means you wouldn't be able to take your employer's contributions with you if you leave the company before the prescribed period of time has elapsed. Your own contributions to the plan are always yours, however. If you're not contributing up to the company match, you could be ignoring a significant employee benefit. An employer match is effectively free money. Employers who offer these plans are often willing to let you make contributions through automatic payroll deductions, making saving easier. Investment choices for these types of plans are often limited, and management and administrative fees can be high. The IRS imposes contribution limits per year, although limits for 401(k) plans are more generous than those for other plans: $19,000 in 2019, up from $18,500 in 2018. This increases to $25,000 if you're age 50 or older. Variations of this type of account include the 403(b), a similar account offered to educators and nonprofit workers, and 457(b) plans, which are offered to government employees. An IRA is a tax-favored investment account. You can use the account to invest in stocks, bonds, mutual funds, ETFs, and other types of investments after you place money into it, and you make the investment decisions yourself unless you want to hire someone else to do so for you. You might consider investing in an IRA if your employer doesn't offer a retirement plan or if you've maxed out your 401(k) contributions for the year. You contribute up to $6,000 in 2019. This increases to $7,000 if you're age 50 or older. This limit is up from $5,500 in 2018. You'll pay no taxes annually on investment gains, which helps them to grow more quickly. Many taxpayers can deduct their IRA contributions on their income tax returns if they don't also have a 401(k) retirement account at work, reducing their taxable incomes for that year. Some restrictions exist based on income. You pay income taxes on the income you contributed and on gains when the money is withdrawn in retirement. You can buy and sell investments within the IRA, but if you try to take money out before you reach age at 59½, this is known as an early distribution and you'll probably have to pay a 10 percent penalty fee, just as you would with a 401(k). You'll also be subject to federal and state and income taxes on the withdrawal. Unlike a traditional IRA, Roth IRA contributions are made with after-tax dollars. But any money generated within the Roth is never taxed again. You can take withdraw contributions you've made to a Roth IRA before retirement age without penalty, provided five years have passed since your first contribution. You're not required to begin taking withdrawals at age 70 1/2 as you are with traditional IRAs, 401(k)s, and other retirements savings plans. Putting money in a Roth is a great place to invest extra cash if you're just starting out and you think your income will grow, and you'll give your future self an amazing tax break. You can even contribute to both an IRA and a Roth IRA, but your total contributions to both plans can't exceed the $6,000 contribution limit for the year. 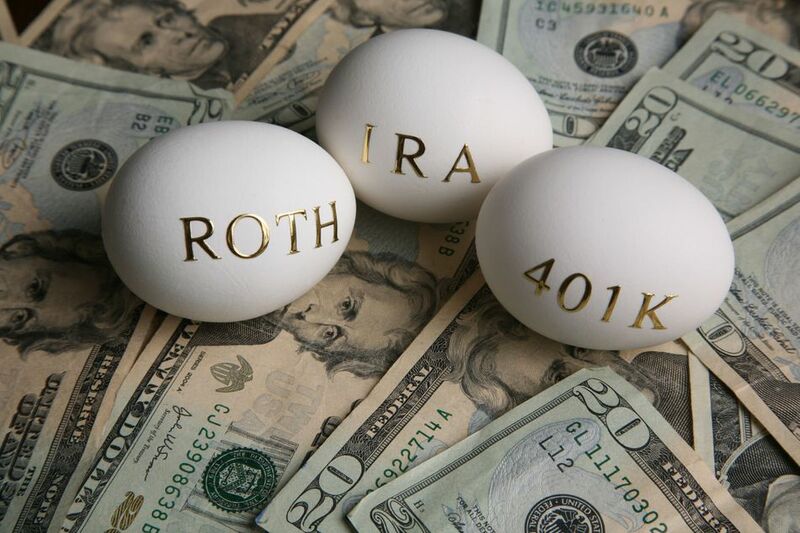 A Roth 401(k) combines features of the Roth IRA and a 401(k). It's a type of account offered through employers, and it's relatively new. As with a Roth IRA, contributions come from your after-tax paycheck rather than your pre-tax salary. Contributions and earnings in a Roth are never taxed again if you remain in the plan for at least five years. But there's a catch with this type of plan as well. Contribution limits become stricter if your modified adjusted gross income (MAGI) reaches a certain point, until contributions are prohibited entirely if you earn too much. Phaseouts begin at MAGIs of $122,000 for single filers in 2019, and you can't contribute if your MAGI tops $137,000. These limits for married taxpayers filing joint returns increase to $193.000 and $203,000. The Savings Incentive Match for Employees (SIMPLE) IRA is a retirement plan that small businesses with up to 100 employees can offer. It works very much like a 401(k). Contributions are made with pretax paycheck withdrawals, and the money grows tax deferred until retirement. Distributions taken within two years of opening the plan and before age 59 1/2 can result in a hefty penalty, however—25 percent. You can't borrow from a SIMPLE IRA, either, the way you can from a 401(k). A SEP IRA allows you to contribute a portion of your income to your own retirement account if you're self-employed and have no employees. You can fully deduct these contributions from your taxable income. The maximum annual contribution limits are higher than most other tax-favored retirement accounts: $56,000 or 25 percent of income, whichever is less, as of 2019. Can You Have More Than One Plan? You might accumulate a variety of retirement plans as you grow in your career. An employer's 401(k) is the first place to turn for tax-deferred growth when you begin saving for retirement, but a Roth IRA is also a great place to put away some extra cash for retirement or other life events. A 401(k) and a Roth IRA can be a good combination.